Do you know the tell-tale warning signs of a raccoon infestation? As it turns out, it is much more than odd noises coming from your attic. If your home has torn soffits, broken attic vents, or damaged roof shingles surrounding your vents, there may be a raccoon (or a whole family) that has taken up residence in the warm comfort of your home’s upper level. While raccoons might look cute and fluffy, the truth is that they can cause extensive damage to your home if allowed to settle into your attic. The raccoon removal team at Wildlife X Team of Houston knows a thing or two about these troublesome animals, and in today’s post, we’ll review the kind of damage they can cause as well as how you can protect your home from an infestation. Are you worried that you have raccoons in your attic? Contact our team of wildlife removal specialists today. 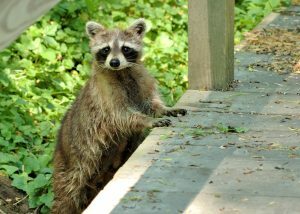 We offer experienced, humane raccoon removal services that are affordable and efficient and we would love to help you. Call 281-377-6622 now or schedule your consultation online! Hazardous droppings. Taking on a similar appearance to dog feces, raccoon droppings have been known to carry roundworm. This can infect humans, leading to blindness in some cases. Holes in walls. Raccoons like having a den that is easily accessible, and that means they may rip holes directly through your home’s flashing and siding. This can result in water intrusion and an unsightly exterior appearance. Torn insulation. These troublesome animals have been known to tear foam plumbing insulation and rip through the insulating paper on walls, as well as trample down blown-in insulation. Disconnected air ducts. If your heat or air conditioning is suddenly not performing like it used to, raccoons may be to blame as they are notorious for damaging air ducts that run through attics. Damaged wiring. Much like other unwanted rodents, raccoons will commonly chew on wiring in attics. Not only is this an expensive repair, it can also pose a fire hazard to unsuspecting homeowners. If you suspect that you have raccoons living in your attic, it is important to call a reputable raccoon removal company as soon as possible. Wildlife X Team of Houston provides wildlife removal services, including the humane relocation of these pesky animals. Call us at 281-377-6622 today to request a consultation! 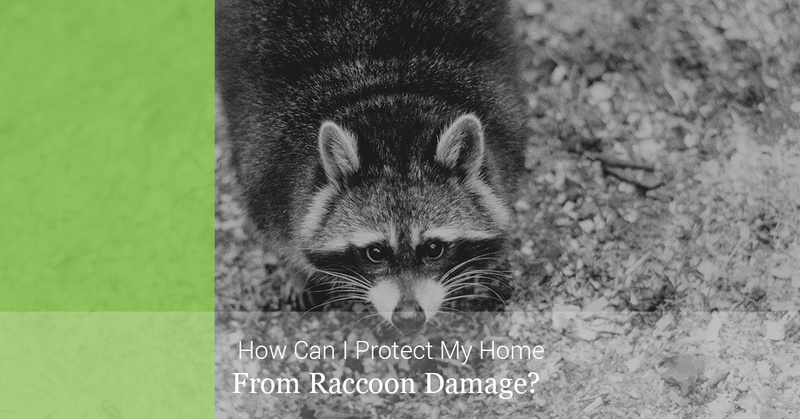 Upon learning about the destruction that raccoons can cause, many homeowners naturally want to know how they can prevent raccoons from entering their home in the first place. Below, we’ve provided a few easy steps you can take to keep these critters out. Store pet food inside in sealed, airtight containers. Keep garbage in secure containers until trash pick-up day. Trim tree branches six to eight feet back from your home to prevent easy access. Install chimney and vent caps on your roof. Promptly repair any holes or gaps in your roof, soffit, and siding. Performing these tasks and surveying your house for any exterior damage is an easy way to protect your home from these unwanted critters. In the event that you discover evidence of raccoons nesting in your attic, there are several benefits to contacting a professional to assess the situation. Although it might seem tempting to tackle the job on your own, hiring a professional may prove more effective and safe. A trained raccoon removal technician will have the skills and knowledge to inspect your home for signs of damage, and he or she will also be familiar with local wildlife management laws to ensure the animal is humanely removed and relocated. Additionally, many wildlife removal companies provide repair services to remedy the damage done by raccoons and may even clean and deodorize your home. While you might be able to do all of this on your own, it may not be safe or cost-effective to do so. Having raccoons in your attic is a very serious matter. Not only can they cause extensive damage to the inside of your home, they can also pose a health and safety threat to you and your family. If you are concerned that you have an infestation on your hand, trust the experienced raccoon removal team at Wildlife X Team of Houston. We use proven, humane methods to bait, capture, and relocate raccoons, and we offer attic restoration services that include debris and dropping removal, as well as drywall, flooring, insulation, and siding repairs to eliminate any signs of wildlife habitation. Contact our team today to take the first step in reclaiming your home from these unwanted intruders!